I've always thought they looked alike: Rod and Ronnie. Separated only by hair colour. Love the 70s hair, styling and visual effects! Good song too. Awesome track you've brought back to light! 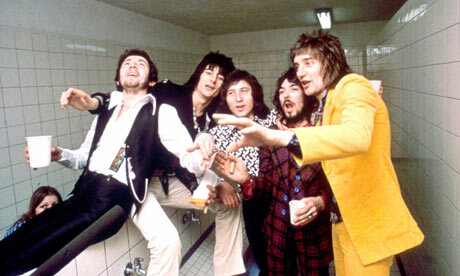 70s classics are fun, and Rod Stewart's always entertaining. Well, he used to be anyway. Hello Ray. I saw your face/avatar on Elsie's blog, and I like it (Note: my judgement is questionable, and I use the term "like" very loosely =)), so I hopped over and joined your fanclub. Cheers! LOL!! thanks Robyn!! It was one of my more madder moments! !